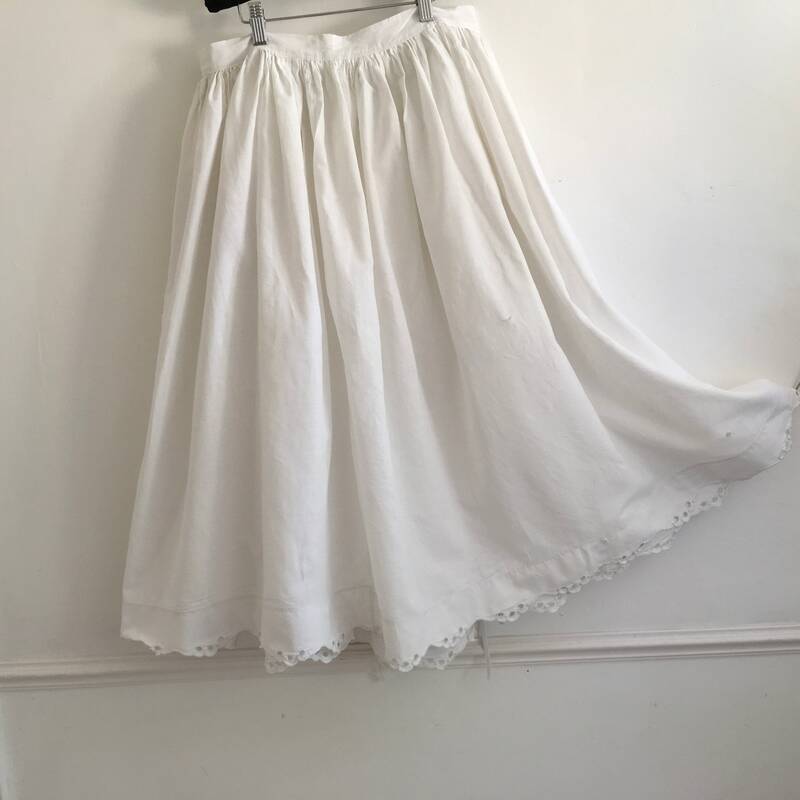 This is a vintage Hungarian skirt, which would probably have been worn as a petticoat underneath their traditional skirts or as a day to day skirt. Made from white cotton. 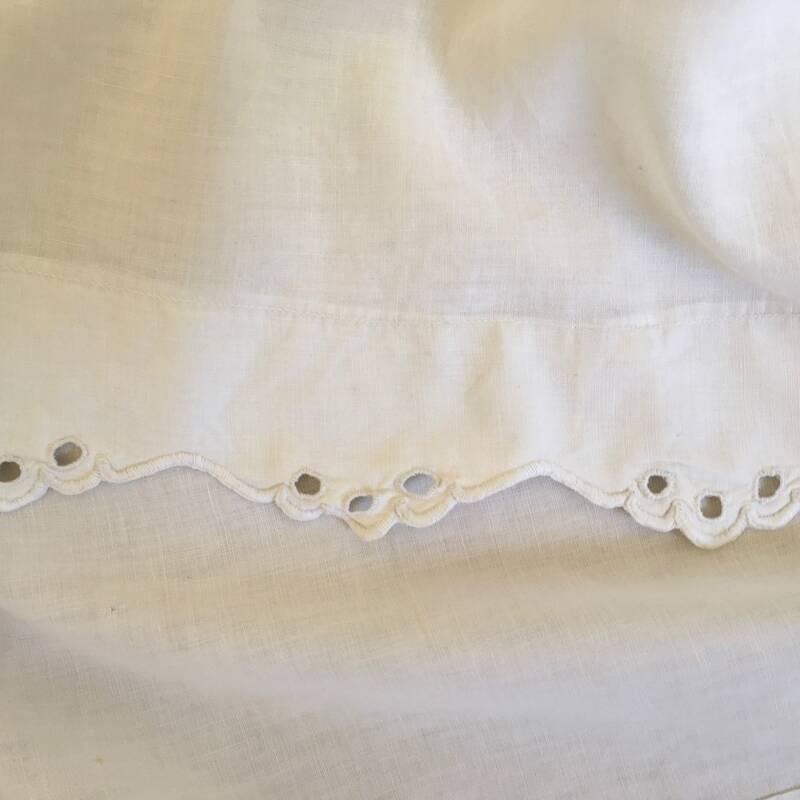 The whole skirt has been stitched either by hand or machined including the beautiful broderie anglaise scalloped hem. 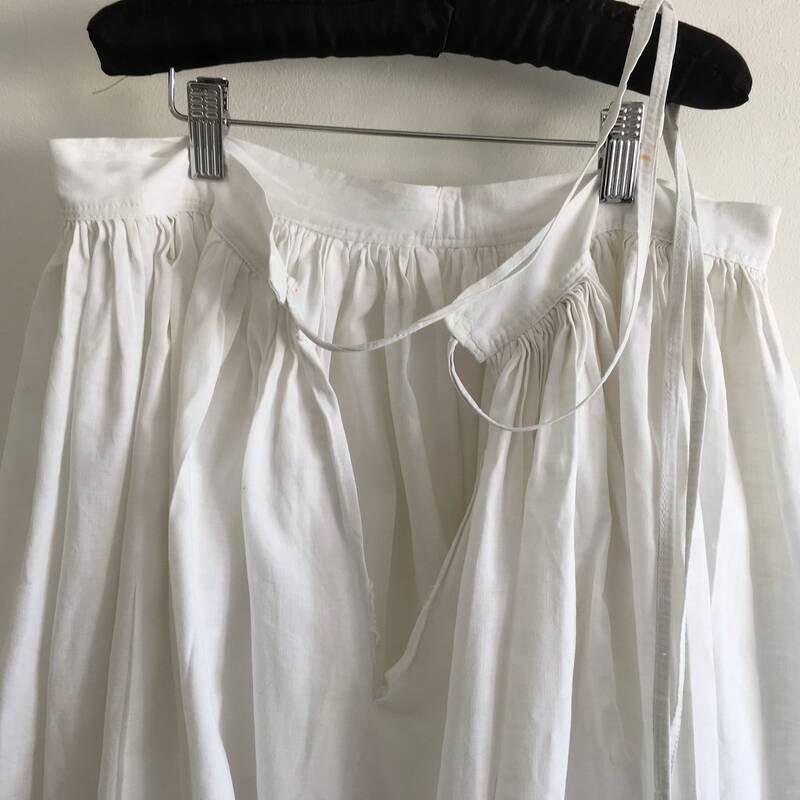 The ties are white cotton fabric on the waist opening, you can wrap the ties around as it is not a fixed size, so you can secure to fit different sizes. 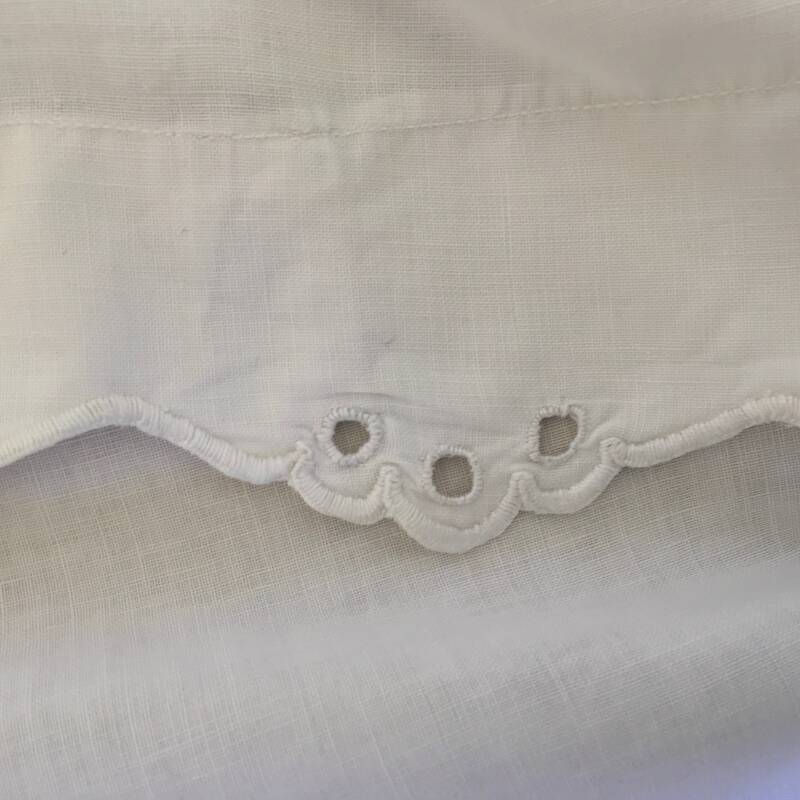 The band on the underside of the hem is of the same cotton fabric. 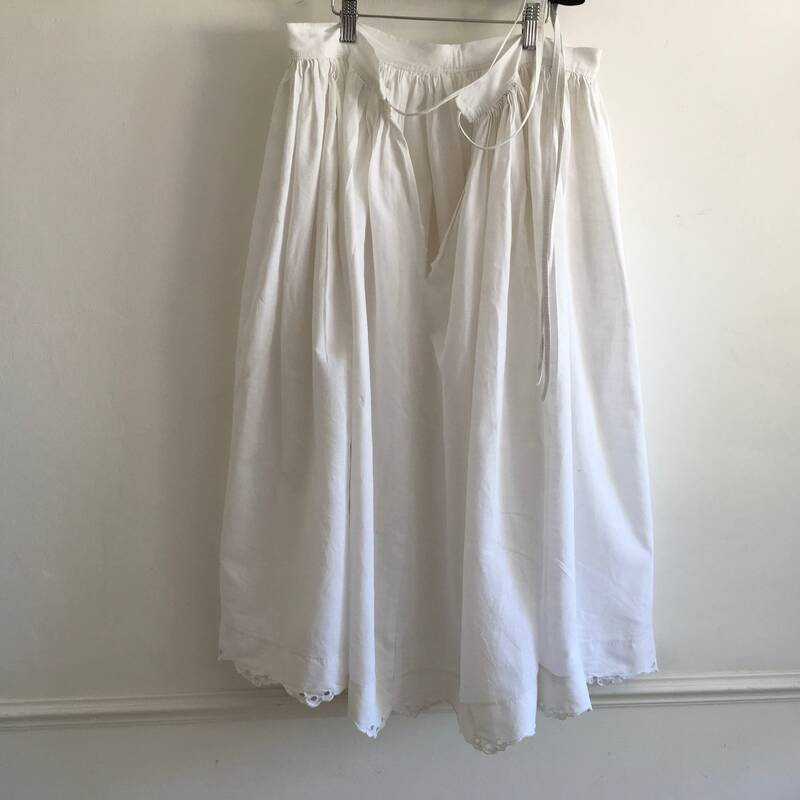 The photos act as part of the description, there maybe some patches of faded fabric, holes or a loose thread, as this skirt has had a whole life before being listed here on Etsy. 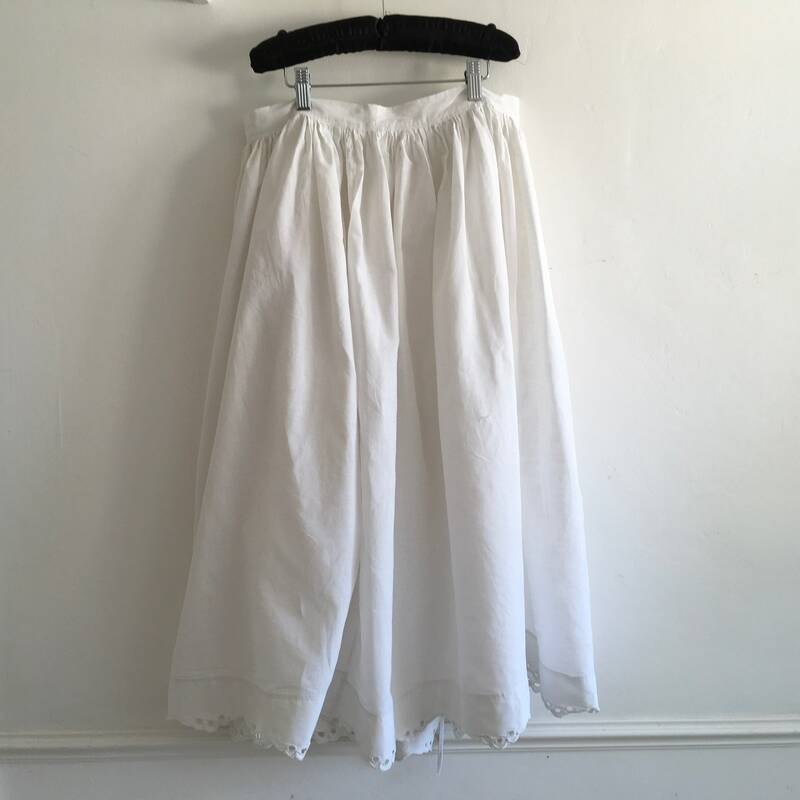 This skirt is a piece of history. 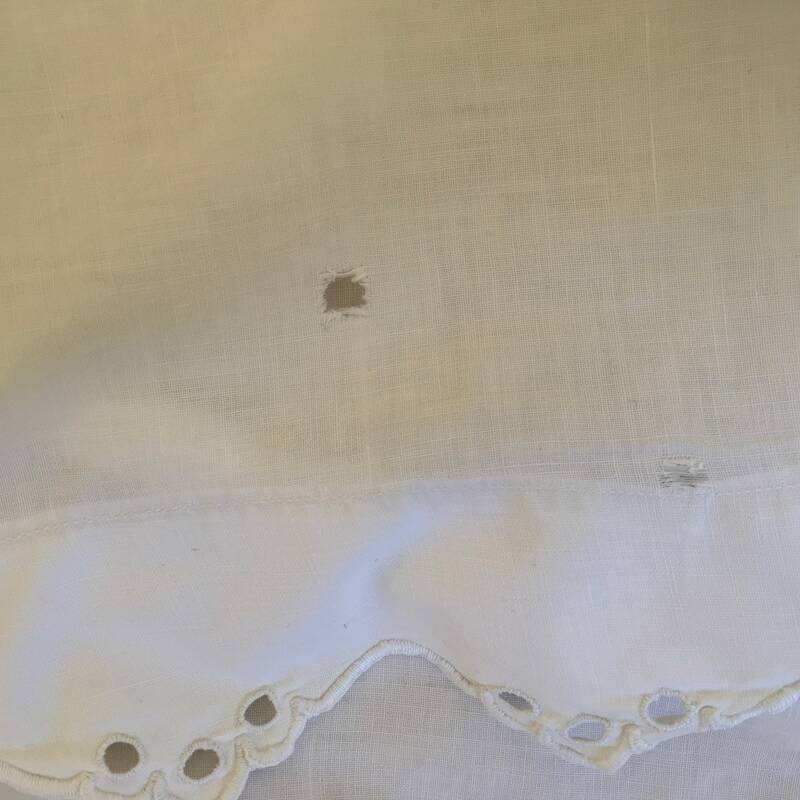 There is slight wearing and some holes which are visible on the picture.